Heat oven to 350°F. In large bowl, gently toss pears, 3/4 cup of the sugar, the lemon peel and lemon juice. 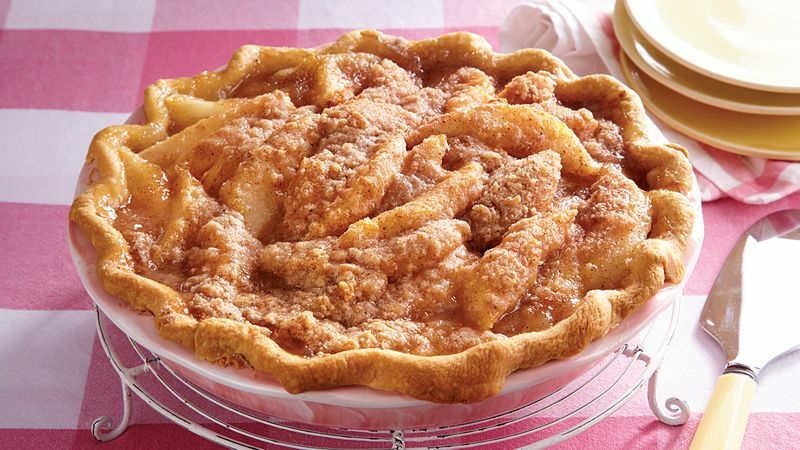 Spoon into frozen pie crust. In medium bowl, mix flour, remaining 1/2 cup sugar, the nutmeg, cinnamon and mace. Cut in butter, using pastry blender (or pulling 2 table knives through ingredients in opposite directions), until mixture looks like coarse meal. Sprinkle evenly over pears. Place pie on cookie sheet. Bake 1 hour or until pears are tender and topping is lightly browned. Cool on cooling rack about 2 hours.